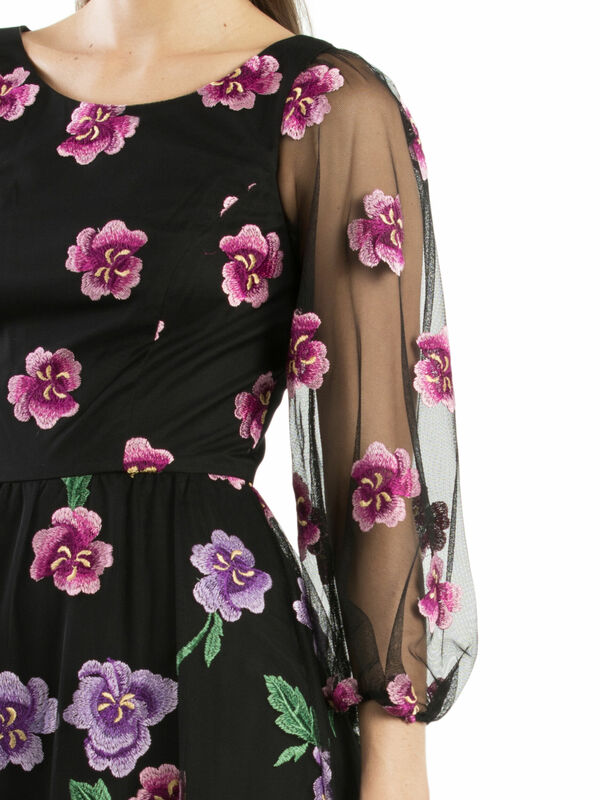 Alexandria Dress https://www.review-australia.com/global/alexandria-dress-black/RE19DR396.REBLK055.html Lilac and lavender flowers embroidered on to delicate mesh layering enchant on this sumptuous, flowing Alexandria Dress. Floral, sheer long sleeves rest over a sleeveless, black body, giving this a feminine flourish, while a layered skirt inspires dreams of whirling the night away. Fitted with a concealed zip.